Our standard ‘L’ Fixtures are are available in many standard sizes ranging from a 4.00″ square working surface to a 24.0″ square working surface. Custom sized and configurations are available. 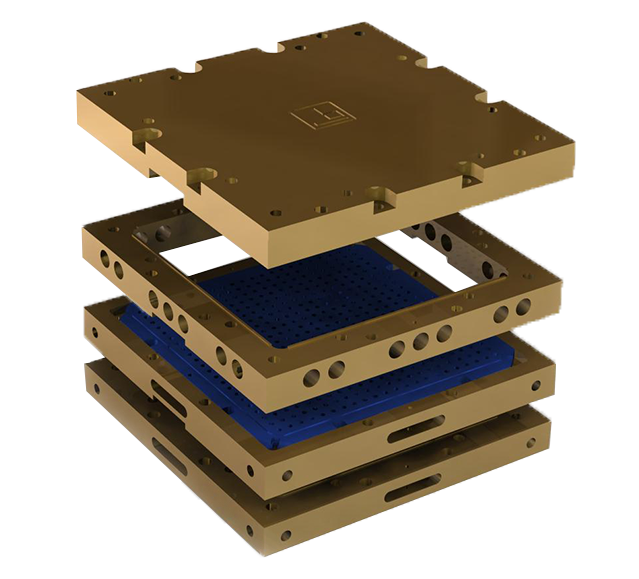 This fixture is a modular system that can test virtually any circuit board in all three axis. Available in many sizes. Manufactured from solid magnesium billet stock. 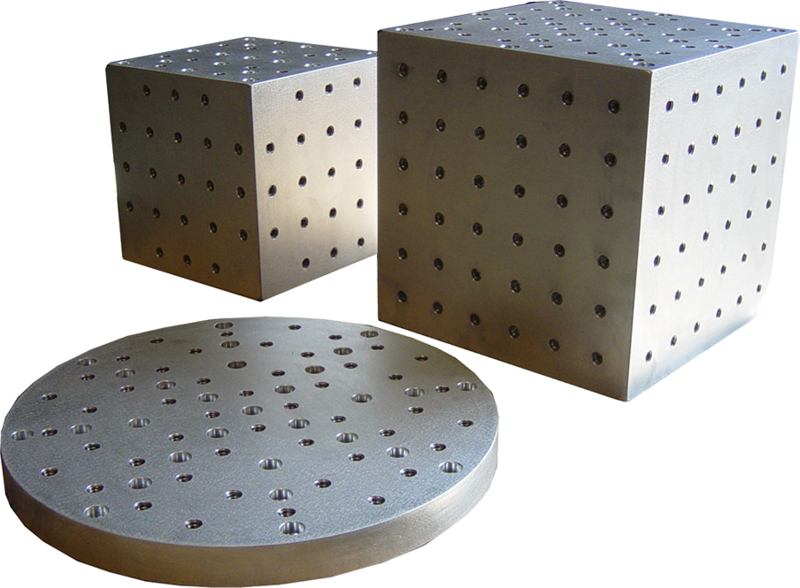 Larger Cubes, 12.0″ and up, are constructed from welded magnesium tooling plate, internally gussetted to minimize the overall weight and maintain strength and stiffness. 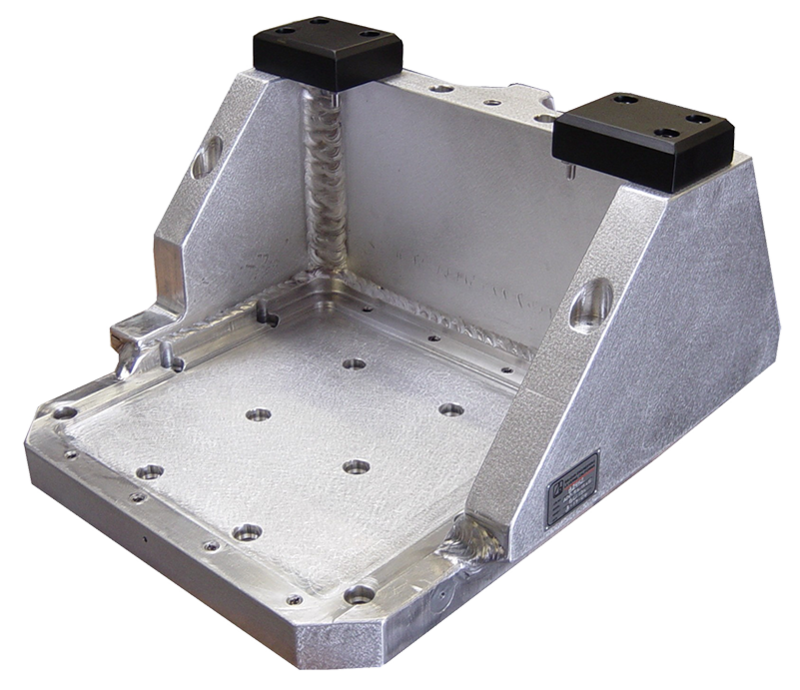 The model STC MiniBase system offers the same basic features of the MonoBase System, but is designed to mount the entire shaker assembly including the shaker’s standard support base, directly to a common steel and concrete platform. Truly one of the most unique and revolutionary multiple axes test systems on the market. The Baughn Engineering system is the only one to date the has solved limitations of older designs. 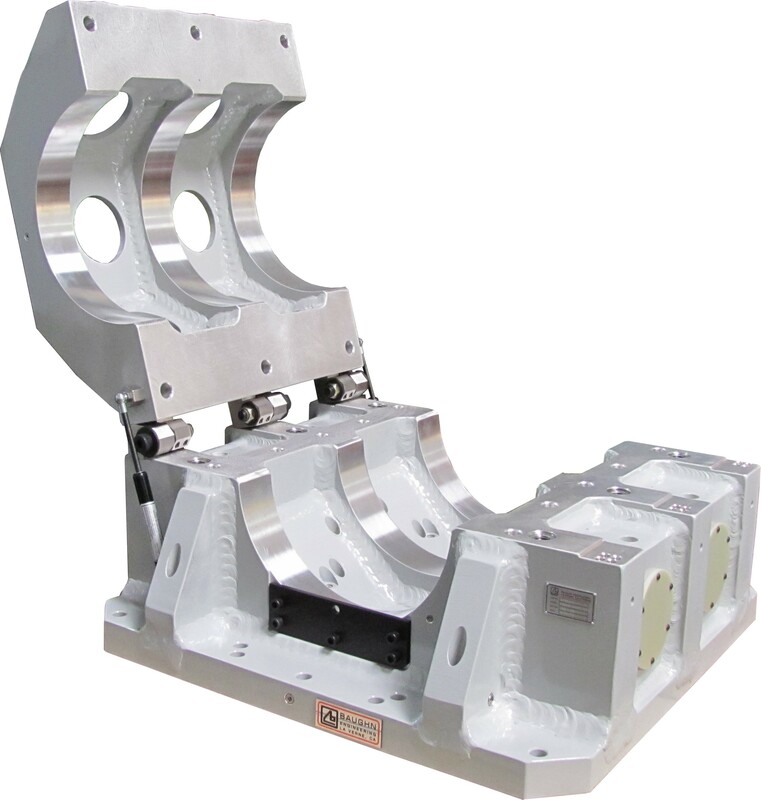 One of Baughn Engineering’s greatest assets is finding solutions to challenging test requirements. Nearly every fixture requires a degree of custom design, but in many cases the test requirements are so unique the fixtures must be approached from a completely new perspective. 30 years of providing In-house solutions to unique fixturing requirements. 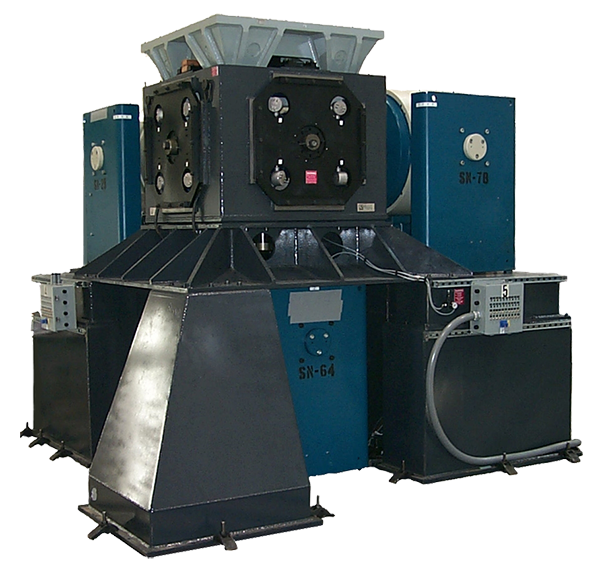 We are a direct Original Equipment manufacturer supplier. 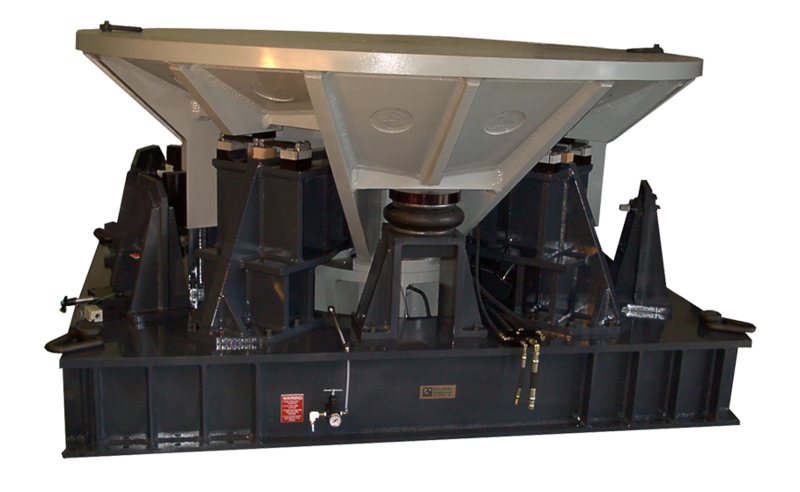 Baughn Engineering offers a complete line of vertically guided head expander systems. 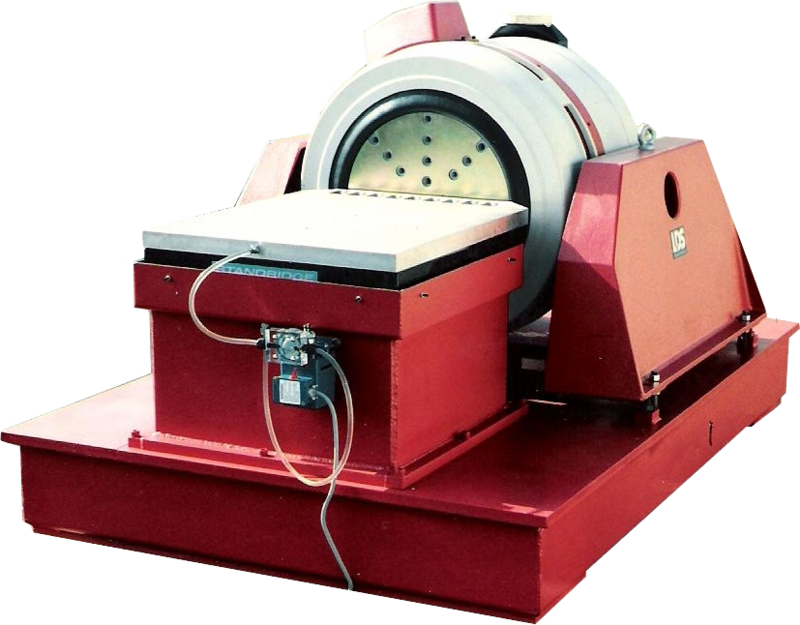 These guidance systems provide additional cross-axis restraint to protect the shaker’s armature and internal guidance components. 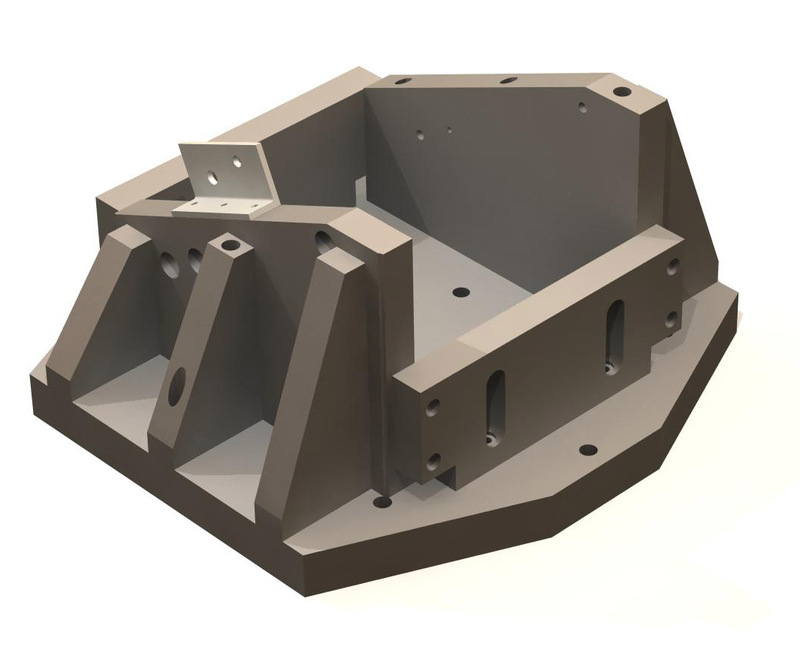 Baughn Engineering has an unparalleled history of custom engineered fixture designs, provide our customers with unique solutions to meet their specific fixturing requirements. With over 50 years experience we offer the test industry the most extensive library of proven fixture designs available. 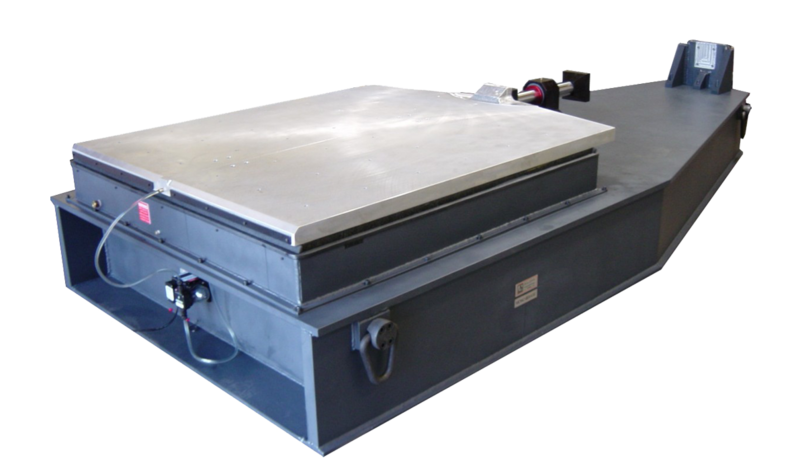 Our in-house capabilities, including finite element analysis, provide our customers with the assurance that we will consistently and expediently supply a product that supports their test specifications. 909-392-0933 © 2019 Baughn Engineering. All rights reserved.